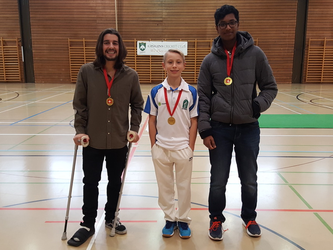 The winners of the 2017 Bob Barber Awards were announced on Sunday 29th October by Cricket Switzerland's junior development officer, Michael Hall. Owen Thompson (U11), Max Hoegenauer (U13), Hemant Ganesh & Dayn Pariaug (U15) and Aiden Andrews (U19) are the recipients of this year's prestigious Swiss award by ex-England international Bob Barber, recognising & encouraging the special talent amongst the younger members of the Swiss cricketing community. 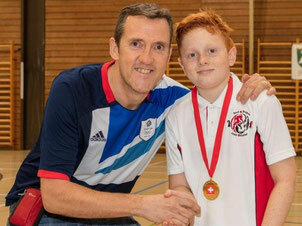 The medals are expected to be presented by Bob Barber himself at the Gingins U13s indoor tournament on Saturday 18th November. Congratulations to all these young lads for a terrific season. Read more about the Bob Barber Awards or contact Michael Hall.